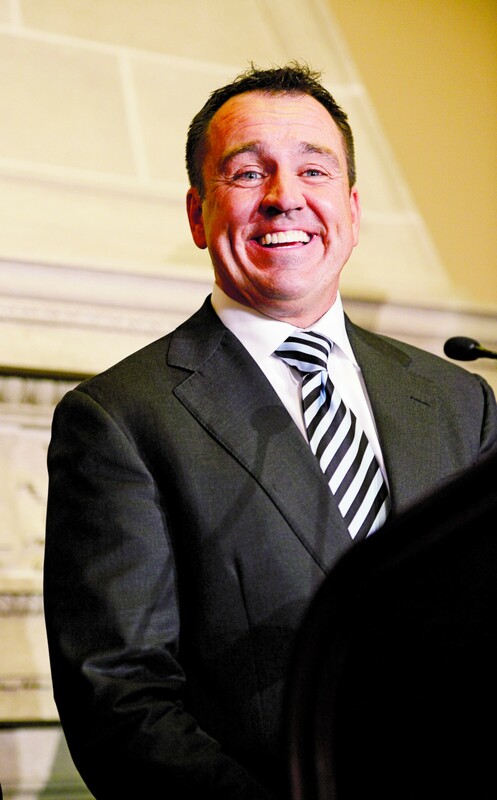 Utah House Speaker Greg Hughes says he’s leaving office. He made for a dream that even after a year (as of May), hasn’t gone away, even when dreams usually do. Except for one where I was in Trump’s quarters. I digress, though. Hughes was teaching Latter-day Saint (commonly known as “Mormon”) Sunday School. As is seen across the Beehive State, he was before a white board surrounded by frizzy, light-purplish walls, before a crowd of folks pushed together in metal chairs. And at first, there was the usual talk: Joseph Smith, the Book of Mormon. But then he veered off. He started going deep into why capitalism, even unbridled, was truth. He started making a case for why money was more than neutral and that the account of Jesus throwing money-changers out of the temple was among those parts of the New Testament gospels that were added after other parts. Then he did the same for Machiavellian behavior. He said that taking advantage of others was part of the way to prepare for godhood, as that will happen as part of eternal progression. My ** was with me and we decided that we would not subject our toddlers to this (why they were in Sunday School and not Mormon Primary, I’m not sure). So then we started walking to our apartment complex. But then Hughes came around the corner at the complex, asking why we left. We were startled he was there. But then we gave as brief an answer as we could. The high-profile elected official in a state nearly two-thirds Mormon replied by saying that he needed the Sunday School teacher position to be able to endear himself to constituents, starting with his ward as the epicenter. And having a visible position within that epicenter, he viewed as advantageous. Then he asked about our toddlers and I said that I would not tell him a thing about them, concerned that he would use it for a political purpose somehow. Perhaps it’s not surprising that folks are having dreams about this guy when Utah Gov. Gary Herbert perhaps has similar dreams — it’s been said that Herbert wanted Trump to hire Hughes, as Trump considered, since Hughes would no longer be a thorn in the side of Herbert, more moderate in policy and tone. Even if you no longer affiliate with the church but enjoy sociality with family and friends as before, you can still find social settings organized by the Utah Valley PostMormons. There, you can find your people. And of course, if you don’t enjoy those relationships like before, the many UVPM events that happen each week can be even life-saving. Led by wonderful people like Kirsten Barksdale and Larissa Norman, UVPM is also for folks who just are struggling with it or are “never Mormons” seeking a break from the predominant culture. Find their events on Facebook and Meetup. This piece was originally seen in The Good Men Project. For more articles like this, please support The Seer Stone at the Hero’s Journey Content Patreon page.